We can't wait for the 2019 Beachtown Throwdown, with 5 local breweries competing for the title! Sample the best West-Coast IPAs from Modern Times, OB Brewery, Amplified Ale Works, Pizza Port Brewing, and Bay City Brewing Co. in a blind tasting competition, and vote for your favorite! 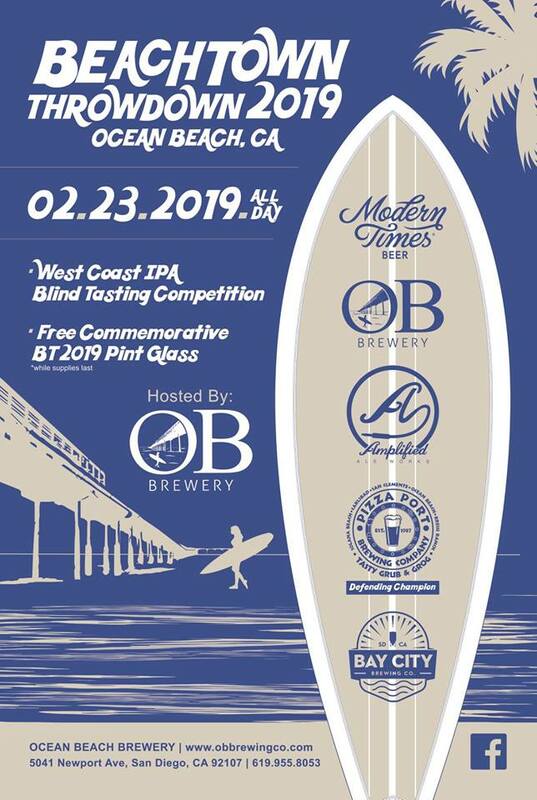 Don't miss it, February 23rd at OB Brewery.